NUREMBERG, Germany, April 3, 2018 — The supervisory board of wire, fiber, and cable system supplier Leoni AG has appointed Aldo Kamper as president and CEO. 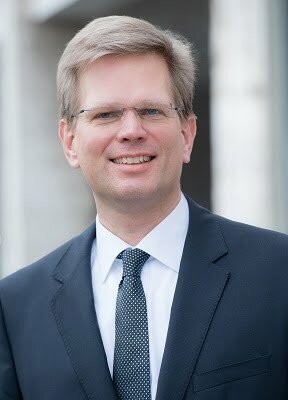 Kamper is the current CEO of Osram Opto Semiconductors and will fill his new post at Leoni in October. “With Aldo Kamper, we have gained a leadership personality as CEO who acts with commercial and technological orientation in equal measure,” said Klaus Probst, chairman of Leoni’s supervisory board. “Both our development towards becoming a solutions provider and such automotive megatrends as electromobility and autonomous driving call for the ability to innovate, adapted processes and further optimization of the organization. I am certain that Mr. Kamper will, together with the existing team on the board of directors, successfully shape both the technological transformation and Leoni’s impending global growth." Kamper received his MBA from Stanford University. Leoni is a supplier of wires, optical fibers, cables, and cable systems, as well as related services for the automotive sector and other industries.